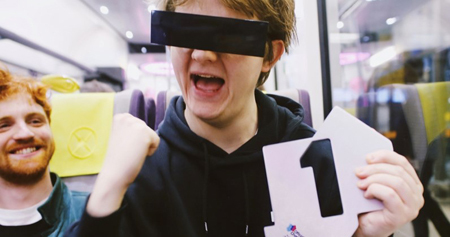 Lewis Capaldi hangs on to his Number 1 position on the Official Singles Chart, just ahead of Calvin Harris and Rag’n’Bone Man, who take the runner-up spot for a second week. Someone You Loved crosses the finish line 6,000 combined sales ahead of Giant; and while Calvin Harris & Rag’n’Bone Man didn’t quite nab the top spot, they did pick up the most downloads this week. Mabel’s Don’t Call Me Up lands at Number 3 after overtaking Ariana Grande’s two former Number 1s Break Up With Your Girlfriend, I’m Bored and 7 Rings at 4 and 5. This week’s highest new entry comes from the Jonas Brothers; their long-awaited return after six years Sucker flies straight in at Number 6 to become their first ever UK Top 10 single. Just You And I by Tom Walker climbs two to 8 as his debut album What a Time to Be Alive takes Number 1 on the Official Albums Chart. Elsewhere on the chart, Cardi B and Bruno Mars’ collaboration Please Me climbs seven spots to 13 following the release of its music video; I’m So Tired by Lauv & Troye Sivan climbs three to a new peak of 14; US rapper and producer Roddy Ricch’s collab with Chip and Yxng Bane How It Is debuts at 18. Lewis Capaldi’s Grace edges closer to becoming his second Top 20 single, climbing three to Number 21; Kehlani’s Nights Like This ft. Ty Dolla Sign rises four to Number 29; London rapper Swarmz scores his first Top 40 entry as Bally ft. Tion Wayne rockets 22 spots to Number 32. Finally, Sigrid should feel like celebrating as Don’t Feel Like Crying becomes her second Top 40 single after zooming 31 places to 34. This entry was posted on Sunday, March 10th, 2019 at 5:27 pm and is filed under Music News. You can follow any responses to this entry through the RSS 2.0 feed. Both comments and pings are currently closed.